Hali magazine is widely regarded as the leading voice in the textile and fine rugs industry, as it is always offering new and interesting information and providing readers with up-to-date news on trendy rugs as well as detailed articles on newly discovered rugs from across the globe. Buy a single copy or subscription to Hali magazine. When translated from Turkish, Hali means ‘carpet’, and this magazine devotes virtually every page out of their average 200 pages to everything about the world of carpets, as it covers the entire textile industry from almost every culture worldwide while also covering carpets and textiles in almost every period of history. 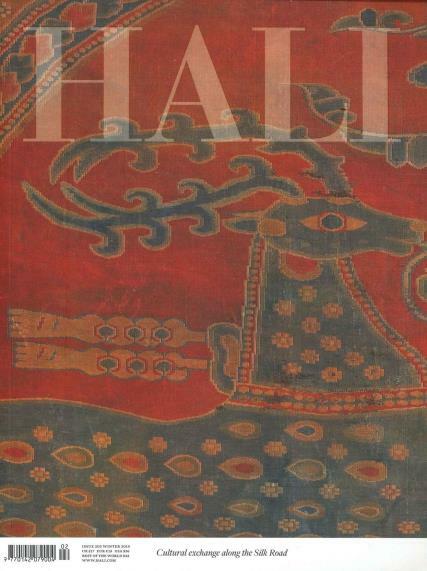 For the most comprehensive and complete publication about the world of carpets and its rich and vibrant history, Hali is the best magazine there is. Designed for dealers, art enthusiasts, collectors, and anybody else with an interest for these beautifully designed pieces of art, Hali magazine provides a provocative mix of stunning illustrations and scholarly articles that are easy to read and full of interesting and insightful information. Many readers even consider the advertisements to be interesting to look at, making every page of Hali a pure delight. Additionally, every publication also has a wealth of information for dealers and collectors, as it provides a comprehensive directory of essential contacts for this market, while at the same time giving readers reviews and information about dealer shows that are happening worldwide.